Potentially responsible for this illusory belief is the information that people acquire about Criminal Profiling, which is heavily influenced by anecdotes, repetition of the message that profiling works, the expert profiler label, and a disproportionate emphasis on correct predictions. Also potentially responsible are aspects of information processing such as reasoning errors, creating meaning out of ambiguous information, imitating good ideas, and inferring fact from fiction. Prior to seeing this research, it hadn’t occurred to me that something so seemingly well-established–and purportedly evidence-based–as criminal profiling may be an unscientific, manufactured illusion, not unlike so many other branded beliefs that shower down around us daily. If correct, the implications of this study could call into question profiling in other areas as well. We’re awash in profiling; it’s not uncommon for evidence to take a backseat to the allegedly scientific process of pre-identifying wrong doers (as in this example, among many). Have we bought into an illusion posing as science? It seems at least possible, albeit alarming, that profiling is the phrenology of our age. 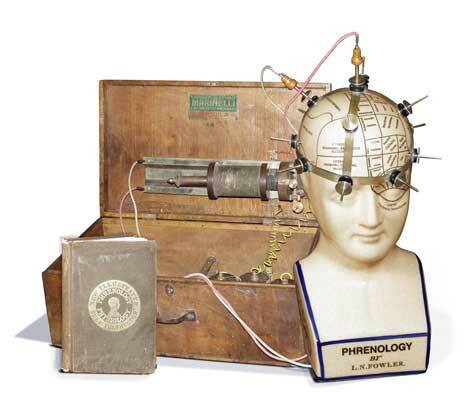 Here’s an interesting quick tour through the history of biological theories of crime (phrenology included).